When it comes to winches, we’ve seen a lot of advancements in the past few years, but for the most part how you control that winch has remained the same. Sure, we’ve seen wireless winch remotes brought into the marketplace, but other than chopping a cord, there were few advantages. 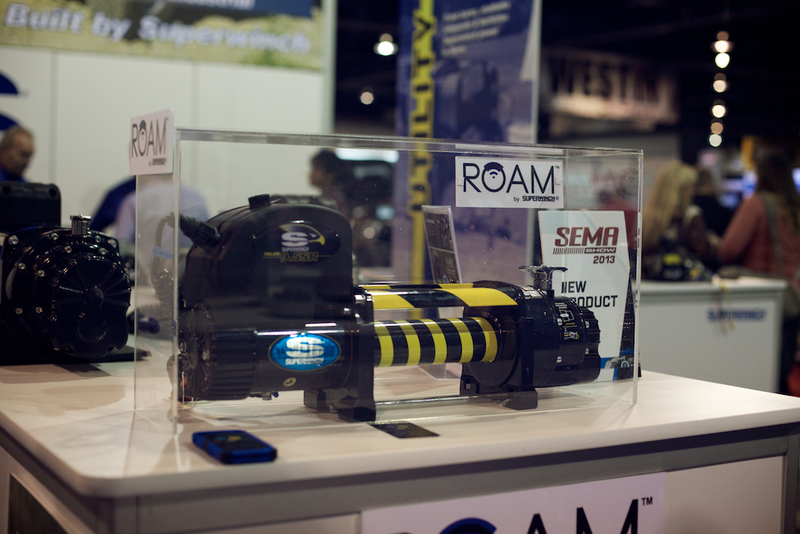 With their new ROAM unit, Superwinch believes they have something revolutionary in the marketplace—and they just might. At first glance, the idea of controlling your winch with a delicate glass-screened smartphone might not seem all too appealing. Especially when you consider that you’re usually using your winch when the weather or environment isn’t being so nice, and your truck is stuck or hanging off a boulder. But then you start to realize the advancements that can be had in performance winching when you’re able to more effectively communicate with your winch. How many amps is it drawing? How long has it been running for? Is your motor about to overheat and shut down at the worst time? Need to figure out your line speed for an upcoming event? 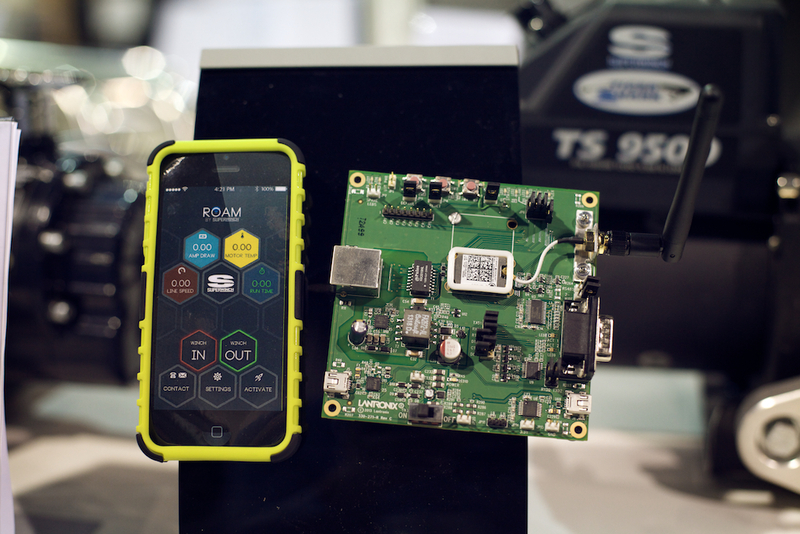 The Superwinch ROAM aims to give you all the information you need on the performance of your winch and send it right to a device you already own. How does it work? Well, you’d probably never think your winch would have Wi-Fi, but in the future, that might just be possible. A simple network connection sends all of the data you need to know right to your smartphone through an easily downloadable application. 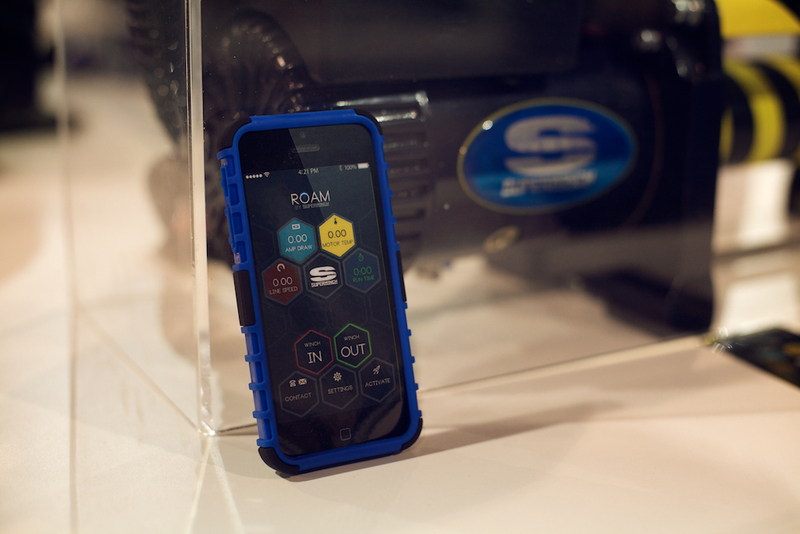 We checked it out at the Superwinch booth at SEMA 2013 and surprisingly it worked quite well. Whether you’re spooling your winch in or out, or being warned that your cable or line is almost all the way in, the Superwinch ROAM intends to be the next-generation winch controller. And don’t worry, even if you get an incoming call in the middle of a recovery, or lose your wifi signal, ROAM will safely stop your winch. Currently, it’s still in a prototype stage, with prices not yet announced. Superwinch also told us that it’s possible for ROAM to work with other winch brands in the future.